ALL AGE PARK. NEAT AND CLEAN TURNKEY 2006 MANUF. HOME SHOWS LIKE NEW. 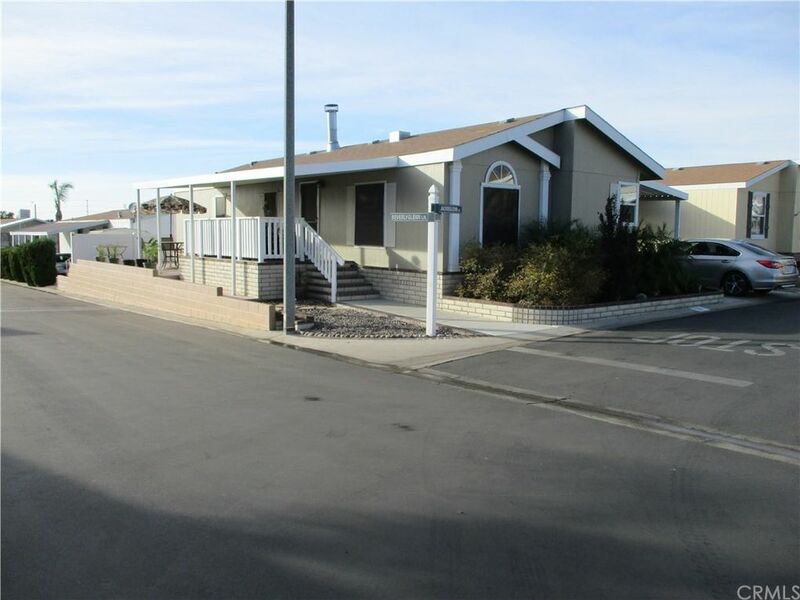 2 BEDROOM, 2 BATH HOME WITH 1, 272 SQ. FT. SPACIOUS LIVING ROOM, RETREAT SITTING ROOM WITH FIREPLACE, KITCHEN WITH LOTS OF STORAGE, ISLAND COUNTER, GAS STOVE, MICROWAVE, DISHWASHER. MASTER BATHROOM HAS GARDEN TUB, DOUBLE SINKS, AND SHOWER. LAUNDRY ROOM, CARPORT WITH ROOM FOR 3 CARS, STORAGE SHED, COVERED FRONT PORCH, AND CONCRETE PATIO. CORNER LOT. CLUBHOUSE WITH KITCHEN, SITTING ROOM WITH FIREPLACE, POOL & SPA, BASKETBALL COURT, AND PLAYGROUND. Directions: JUST EAST OF CRAFTON AVE.BETWEEN MENTONE BLVD & NICE AVE.